As this year comes to a close, I like to reflect on some fond memories of this past year. I feel so lucky to be able to do what I love, facilitating and consulting and this year in a field that I grew up loving, aviation. Some of my early memories of the joy of aviation are of the times with my father. He started with Western Airlines the same year I was born nineteen sixty something… We would go to the airport and park at the viewing area near the end of the runway in SLC. I was just a child full of anticipation as we would watch the Western 707 or 720B on approach, it was beyond thrilling. The aircraft would whisk by with a thunderous ground shaking roar of all four engines. I was filled with excitement and awe at the power and grace of that beautiful plane as it gently touch down. 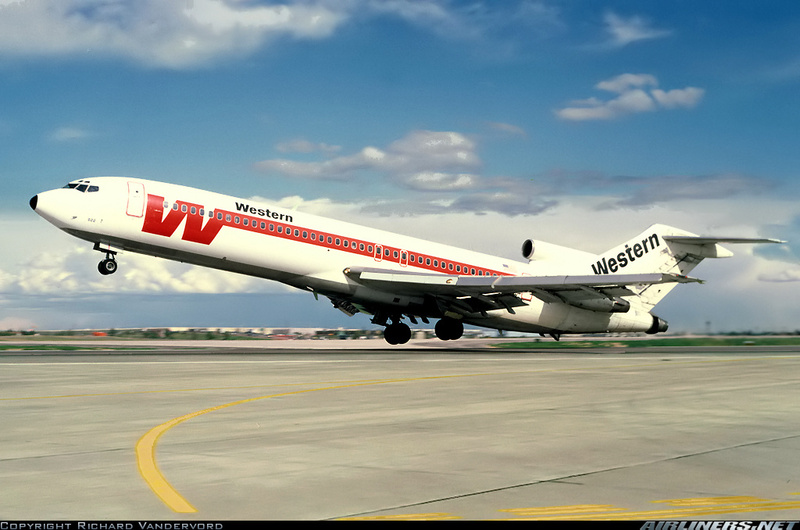 All I wanted to do was be on that airplane… Until, the Western Boeing 727 with the flying W positioned itself for takeoff, I couldn’t wait for the louder more thunderous roar that was a bout to take place. It was the start of a new flying adventure for everyone that plane.. Now that, is where I wanted to be… These feelings of excitement would be repeated with every take off and landing that we would watch. What a wonderful day it would never last long enough… Thanks Dad for the fond memories back in the day. As for now, thanks for a great 2010. Let’s all make 2011 full of fond new memories, it’s your life LIVE IT! Darin – Lovely blog post and sentiment. My love of Delta in particular and aviation in general came in much the same way – visiting my Dad’s office over at the Jet Base, watching the airplanes take off from the end of Atlanta Avenue in Hapeville, and having the wonderful privilege of getting to fly on my vacations instead of driving like my friends had to do. Thanks for sharing your story. Merry (belated) Christmas and Happy New Years to you guys. Look forward to seeing you in the hangar in the new year.